A vacation in Branson offers breathtakingly scenic vistas with acres of emerald green trees, majestic mountains standing guard, and three lakes that seem to invite you to take a walk on the shore. 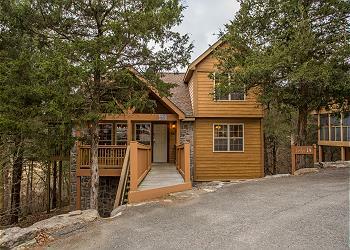 The rustic and primitive Ozarks haven’t changed much, in spite of the crowds of tourists who flock here every day, and when it’s your turn to experience Branson, chances are you will want to stay in one of our Sunset Nightly Rentals cabins. 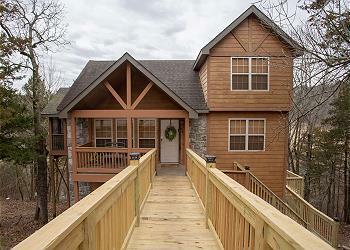 Cozy and warm, with décor reflecting the great outdoors, our Branson vacation cabins rentals are close to all that is wonderful about Branson, while still managing to appear to be private and secluded, allowing you to have a vacation that offers the best of both worlds! Vacations can be one of two things... exciting and fun days filled to the brim with adventure after adventure after adventure...with every minute of every day accounted for... or long, lazy days spent enjoying family or friends, fishing in a pond, swimming in a lake, eating good food and drinking refreshing beverages in a casual atmosphere. When you rent one of our Branson vacation cabins, you get to choose which type you have...or maybe even both! Rustic, cozy, spacious and comfortable, our Sunset Nightly Rentals cabins add that little extra bit of fun to an already fabulous vacation! 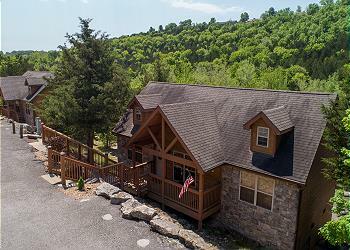 Read on for more information about our Branson Vacation Rentals and Cabins, or contact us today for more information! Don't forget to check out our Resort Rentals as well! 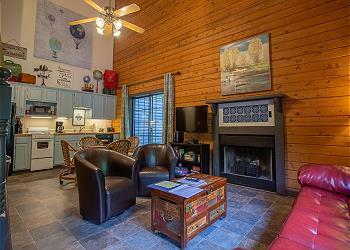 Experience the vacation of your dreams when you rent this adorable 2 bedroom vacation rental at Fall Creek Resort! 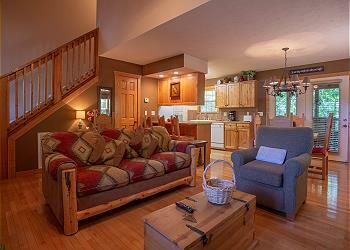 Stay in this beautiful 1 bedroom, 1.5 bath duplex style lodge located at StoneBridge Resort. 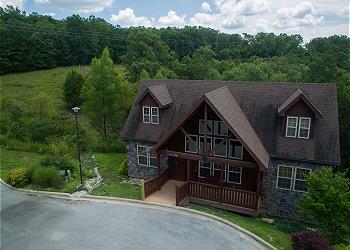 This lodge features a king size bed, queen sofa sleeper, brand new flat screen Tv's, and a rocker/recliner. **Brand New Mattresses in 2017** This spacious 4 bedroom, 4 bath lodge at Stonebridge Resort offers you many great features and amenities. 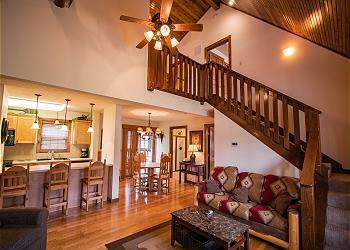 Stay at this 2 bedroom 2 bath lodge at Stonebridge Resort. Enjoy this beautiful 2 bedroom, 2 bath lodge at Stonebridge Resort that sleeps 6 and features a Nintendo Wii and WIFI access for your indoor entertainment. 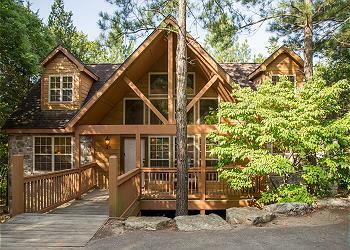 This roomy, 4 bedroom Cabin can be found in the prestigious resort of Stonebridge. Featuring granite countertops, jacuzzi tubs, WIFI internet and much more! A cozy retreat in the relaxing Stonebridge Resort! Take a step into tranquil relaxation when you stay in this charming lodge! Located only a couple of miles from Silver Dollar City, this lodge is the perfect vacation destination when it comes to family-friendly fun! It's not far from other options either. 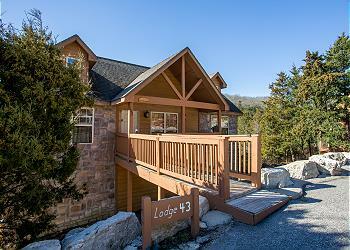 Stay at this beautiful 2 bedroom, 2 bath lodge at Stonebridge Resort. Enjoy the flat screen TV in the living area or kick back & relax on the screened in porch. Take advantage of all the Stonebridge amenities. Whistle a tune as you retire to the peaceful Mayberry Lodge, nestled in the beautiful Stonebridge Resort. Tuck yourself away in peaceful paradise in this spacious 3 bedroom,4 bath lodge located at the beautiful Stonebridge Resort! 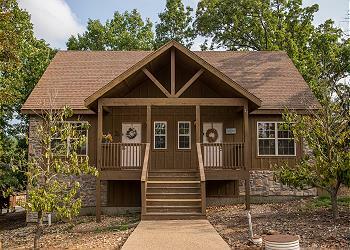 Escape to the splendor and beauty of the Ozarks when you stay in this enchanting walk-in 2 bedroom cabin!